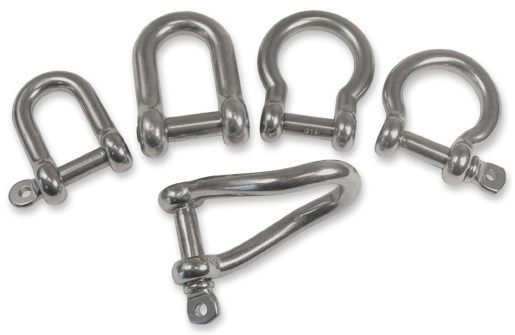 Marine grade stainless steel shackles in Bow, D, Wide D, Long D and Twist variations. Our budget friendly "Essential" collection of Bow, D, Wide D, Long D and Twist Shackles available in a wide selection of sizes and pin styles. Produced from high quality 316 (marine) grade stainless steel these value shackles are ideal for both internal and external applications. 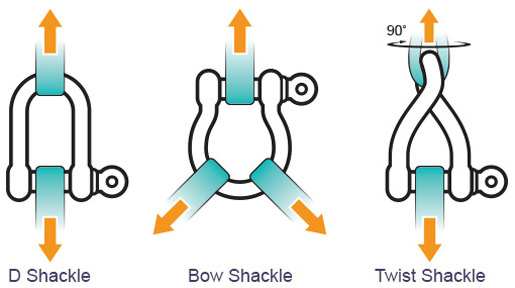 "D" or Dee shackles are the most common type of shackle. These are best suited for aligned directions of pull. Bow shackles with their larger interior opening are the perfect choice for multi-directional loading. The ideal choice for rigging. Twist shackles tend to be slightly longer and are forged with a 90-degree twist so the top attachment point is perpendicular to the shackle pin. Quick and easy to use, standard threaded pins are fully removable from the shackle body. 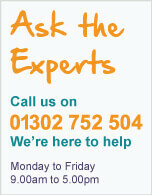 Requires a hex head key to tighten and loosen, ideal for tamper free environments. Hexagon head pins can be fully removed from the shackle body. 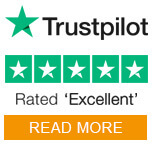 The collared self retaining pin is designed not come out of the shackle body, this ensures the pin is connected to the body at all times even when opened. Ideal for one handed operation without the chance of losing the shackle pin.